Dry fly fishing is easily the most popular type of fly fishing. Every angler loves to see their fly do a toilet-bowl style flush into the mouth of a big rising fish. But there are many more applications for floating fly line than just casting dry flies to rising trout. 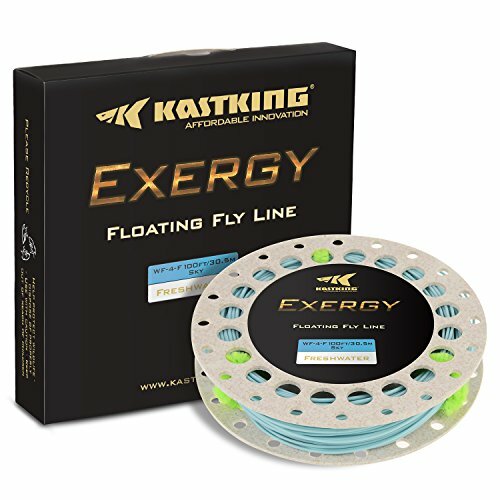 So which type of floating fly line will perform the best for your needs? That’s why Fly Fishing Atlas brings you our take on the best floating fly lines. Which type of floating fly line will perform for your needs will depend on what type of water and which species of fish you are after. We offer a our top choices and explore their strengths and weaknesses. Match Your Fly Rod – If you want the best performance from your fly fishing rig then it is super important that you match your rod weight to your fly line weight. If your rod is marked with a 5/6 weight designation then you will have to choose between a 5 or 6 weight line. Mismatched rods and lines will cause a variety of problems, and will usually lead to frustration. Application – Before you select a floating fly line you need to know what application you are going for. 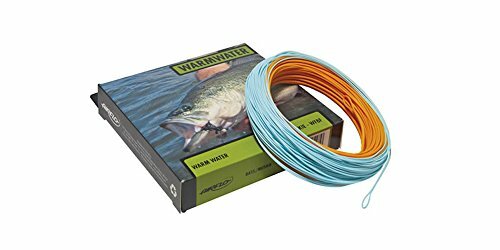 Floating fly lines are made for freshwater, or saltwater. Beyond that important detail, you also should be selecting line for warm water or cold water fishing. 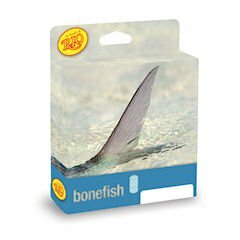 You don’t want to fish with a conventional 8 weight striped bass line in very tropical water for bonefish. You’ll quickly find that your fly line becomes very limp and overly flexible. The coating can even become damaged due to the softening effects of the warm water. Casting Distance – We recommend weight forward lines for a good all-around floating line. Manufacturers design their lines differently, and some make their weight forward lines a little heavier for longer distance casts. Selecting among the various tapers comes down to your preference. Heavy weight forward lines will generally cast greater distances, but the presentation will not be as gentle as a lighter weight forward line. Durability – If you use DEET to fend-off biting bugs like mosquitoes and ticks, beware that DEET destroys PVC. That is important because most fly lines are coated with PVC. Even a little residual DEET on your hands can drastically reduce the lifespan of your fly line. To avoid damage from DEET, Airflo makes 100% PVC free fly lines. Or you can use DEET free insect repellents. 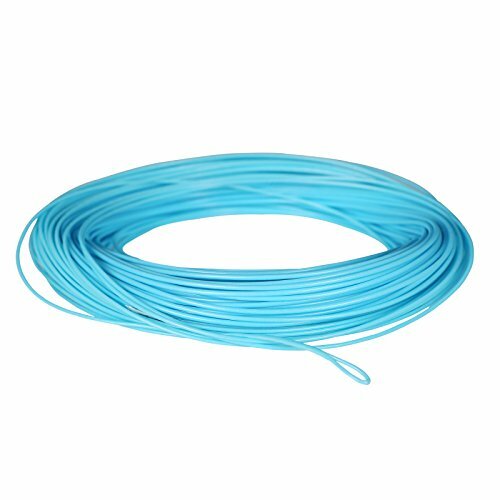 For top performance and the best chance of success, it is super important that you use floating fly line for the correct application. Below we offer our top floating fly line picks. Casting dry flies for trout is one of the most popular types of fishing, and for good reason. Watching trout rise to take a dry fly is super exciting to say the least. But nymph fishing frequently requires floating line as well and we recommend good quality floating line for this application. Nymph fishing often requires weighted flies or shot to get your flies down to the right depth. A good floating line will float better with weighted flies and last through many seasons of hard fishing. Below are our top fly line picks for trout fishing. Rio In-Touch Gold floating fly line is the next iteration of the legendary Rio Gold Series. This is one of the most popular floating fly lines in the world and it has every reason to be. In-Touch Gold presents a huge range of fly sizes that you won’t see with bargain fly lines. It also excels at short to medium-long range casting. Rio’s low-stretch ConnectCore technology provides crazy sensitivity to detect those slight bumps and subtle takes. We always recommend welded loops on both ends to allow easy rigging and line swaps when needed. Rio In-Touch Gold comes through with welded loops in front and back. 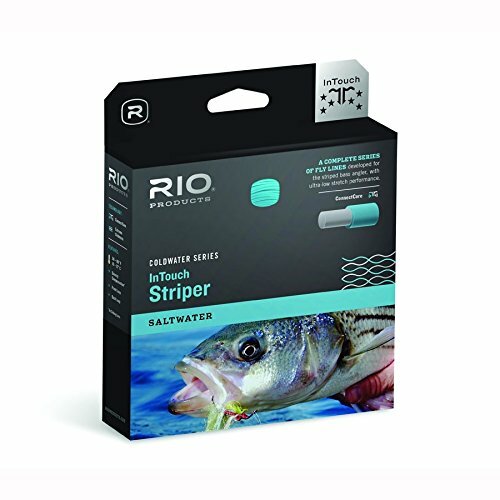 To keep your floating line sitting high on the water Rio incorporates their MaxFloat technology. So when you need to do those big mends to keep your drift drag-free, In-Touch Gold provides a big advantage over lesser lines. Another super helpful feature is the Rio’s unique SureFire color system. This provides a visual cue to make particular presentations more repeatable and not based on feel alone. The front taper and body feature a moss green color while the rear half of the head features a gray color. And the running line sports the classic bright gold color. For distance casting it can be very helpful to know when you have the entire head in the air and the Surefire color System makes it easy. 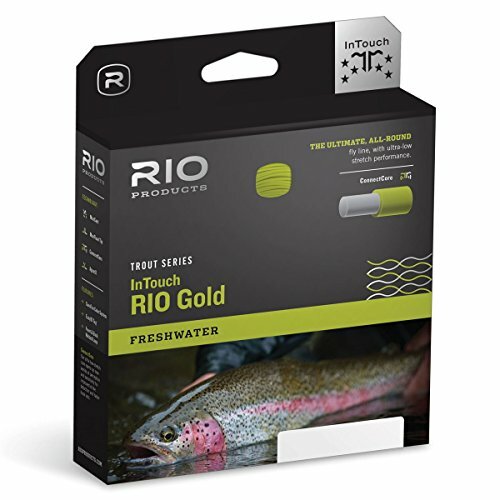 If you’re in the market for a solid floating fly line that is time-tested to perform and last, we don’t hesitate to suggest Rio’s In-Touch Gold floating fly line. Airflo has consistently been on the technological cutting-edge of fly line innovation. Their lines have insane performance, unmatched durability, and are wonderful to cast. One of those innovations was producing a line that is 100% PVC free and solvent free. Airflo Super-Dri Trout utilizes a crazy durable Polyurethane coating that floats high and doesn’t fall victim to degradation from DEET exposure like PVC lines can. 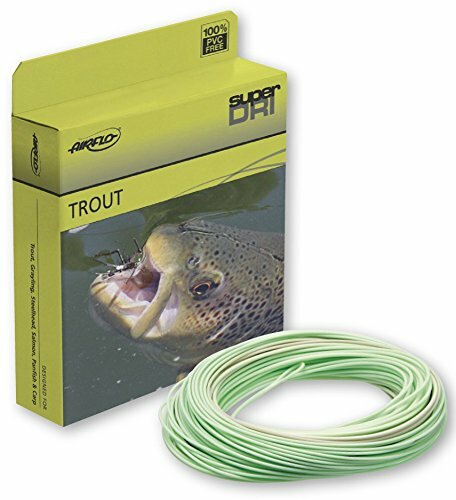 Super-Dri Trout continues the long line of robust and strong welded loops that are a hallmark of Airflo lines. Today many fly lines feature welded loops but Airflo was the originator. Another genius innovation featured in Airfo’s Super-Dri Trout line is RIDGE Technology. Integral ridges run the length of the fly line and reduce the surface area in contact with the guides on your fly rod. The result is a reduction in friction while casting as well as a very noticeable improvement in distance. 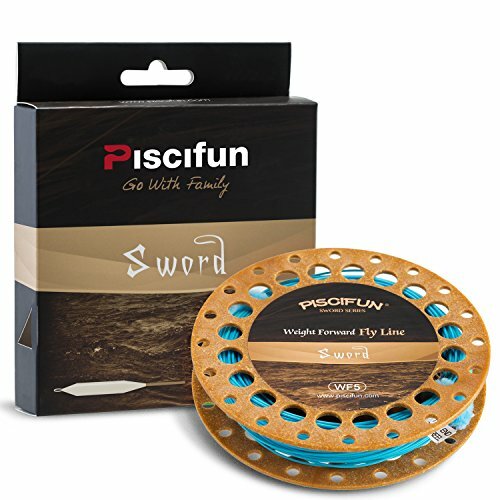 Increased surface area also translates into a fly line that sits very high on the surface of the water when compared to other floating fly lines. And the low stretch core transfers energy extremely well which allows anglers to feel nearly undetectable takes, and also improves hook-ups. We are huge Airflo fans and Airflo’s Super-Dri Trout is climbing to the top of our list for floating fly lines. We fish them, and we love them. If you need a floating fly line that will out last and out cast the rest, Airflo Super-Dri Trout gets our hearty endorsement. Scientific Anglers designed the Mastery MPX taper to be a half weight heavy to push more power into your cast at short to medium distances. Mastery MPX is a solid dry fly line, but it also provides an advantage if you need to turn over two-fly nymph rigs and toss heavy streamers. For anglers that need one line to do it all, the MPX makes a general presentation line. Fishing all phases of the hatch with one line requires some adjusting and this line can perform quite well in all the necessary roles. We particularly like this line for loading today’s modern fast action fly rods. Fast action rods combined with light lines can cause little to no feedback during short distance casts. The MPX taper reverses that effect and provides the needed feedback to make accurate presentations. Mastery MPX features welded loops in front and back which always makes the rigging easier. Scientific anglers coats this PVC line with their proprietary ST+ slickness additive to make the line slide through the guides with very little resistance. The ST+ additive also allows the line to slide on the water’s surface and mend extremely well for those long drifts with dries and nymphs. There are very few lines that can present dries, nymphs, and streamers with this level of performance. 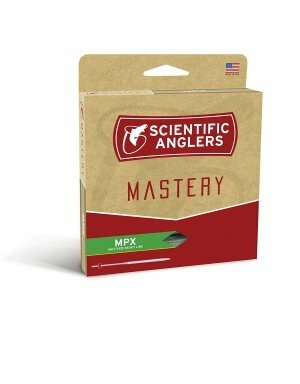 If you need one floating line that can master nearly every situation, we suggest you take a look at the Mastery MPX from Scientific Anglers. Powerful saltwater fish can really pack a punch and saltwater fly fishing lines need to be up to the challenge. Besides strong-fighting fish, saltwater fishing also presents rugged conditions. Constant exposure to salt, sun, and sand can really take its toll on fishing gear. Floating saltwater fly lines also need to be able to carry big streamer flies out to distance. Below we offer our top floating fly line choices for warm and cold saltwater fishing. Welded loops on both ends of all lines make for fast rigging. Warm water fishing for big bass, pike, and musky requires a special type of line. Warm water can turn conventional fly line into a limp noodle. But lines designed for warm water are formulated to retain the proper rigidity in very warm water. Warm water fly fishing is all about casting big bass poppers and chunky streamers. Warm water lines need to be able to take big flies to the fish and turn over heavy leaders. Below is our top pick for warm water species. 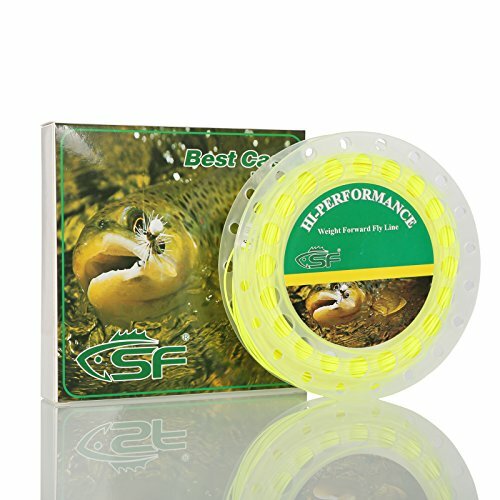 1.Weight forward design floating fly fishing line.